Nepal is not only renowned for its high Himalayan peaks in the north, it is also famous for its dense sub-tropical forest which is the home to abundant wildlife. 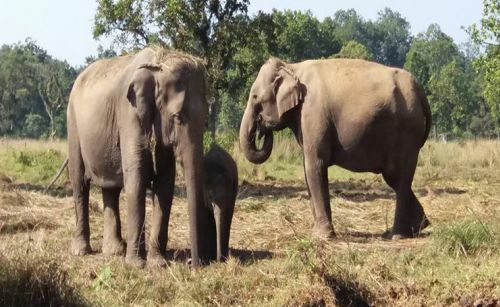 Jungle safari trips are the best way to experience lowland Nepal with its splendid wildlife, flora & fauna, local ethnic people and their culture and lifestyle. A trip to Nepal is incomplete if you have not been on a jungle safari. While the mountains of the north have some of the highest and most magnificent peaks in the world, the tropical jungles of the Terai preserve some of the best wildlife habitat in the subcontinent. Some of these rich wildlife habitats are now protected, and can be toured on elephant back, 4 WD jeep rides, and dugout canoes or on foot accompanied by a licensed jungle guide. Jungle safaris in Nepal are rich in wild life. Jungle safari on elephant back and elephant bathing are some of the most thrilling activities for the lifetime experiences. We offer short and long safari packages to Chitwan and Bardiya National Park.